I woke up at 8 am this morning, after a wonderful and peacefull night of sleeping, to check up on pinterest and then I found this! 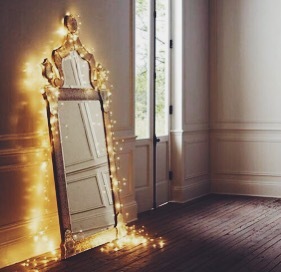 A chain of light, I mean how many of us girls mostly wouldn’t love to have those fairy a like lights as decoration in our homes? I have never tried this before to be honest, but I am totally in love with the mirror and the above the bed ideas. I will soon be moving far away from my birth place, and I need to confess that, I am quite excited and quite nervous about it. However I am sure it’ll be nice to finally have my own place, where I am able to do whatever I want to. 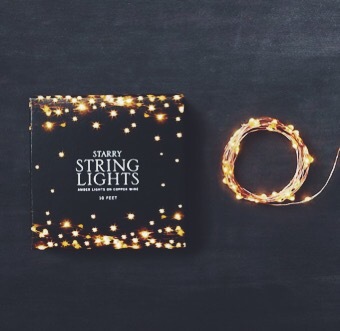 The “Starry String Lights” can be found on eBay and I will gladly post a link on this post as soon as I am nearby my Accer. Stay patient, I won’t let you down. v if interested you can buy them on eBay. Link below. As I mentioned in my previous post, “Etude House” I bought two of those creamy eyeshadow sticks. “White meteor & Pink Rise star” I love the colours, tho I haven’t tested my own yet. I have to admit that the colours are stunning beautiful. I love them. Which colours do you like? Ever since the day, I went to Etude House, the korean cosmetics store in Hong Kong I have been longing for trying more of Etude House’s products. And I found this product on their website. Etude House. 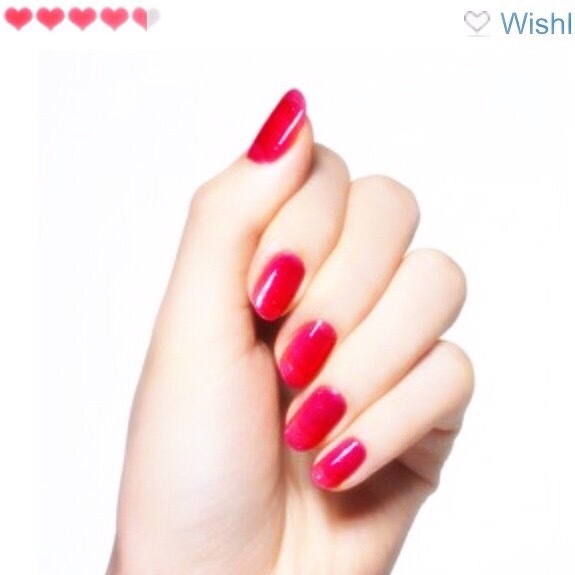 I would love to try this nailpolish so badly. 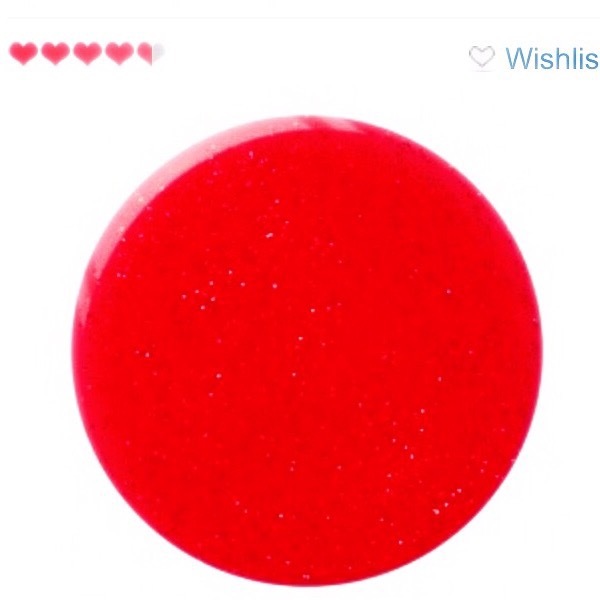 It has this pretty smooth red colour and looks like jelly I want to eat this, and it looks so cute. 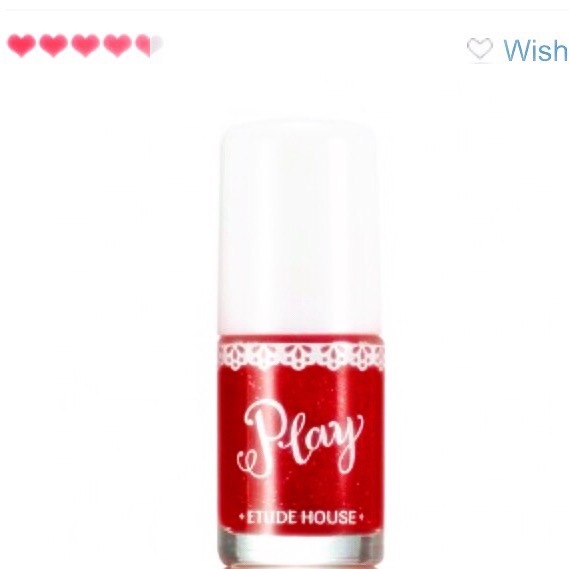 Actually this was not the nail polish I searched for to begin with. Because I figured out that, I was searching for a Valentine collection from 2013, which is pretty late, but oh dear god it looked pretty. Anyways I found this instead, a nail polish which looks really similar to the other. There are lots of different colours to chose between. One last thing I really adore how you can pick the different colours and get a sneak peak on how it may look like. If I buy some, I will try them and let you know what I think. The Tian Tin Buddha is a large bronze statue of a Sakyamuni Buddha completed in 1993, and located at Ngong Ping, Lantau Island, in Hong Kong. The statue symbolises the harmonious relationship between man and nature, people and faith. 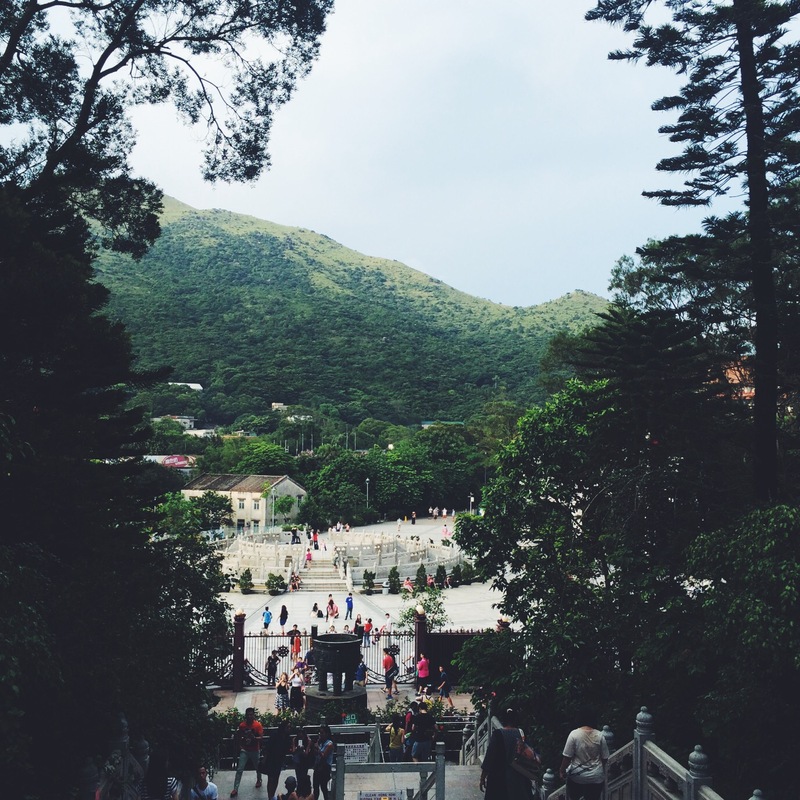 It is a major centre of Buddhism in Hong Kong and a quite popular tourist attraction. My family and I have visited the Tian Tin Buddha twice before, and it has somewhat become a tradition for us to visit this large bronze statue when we’ve been in Hong Kong this year was no excuse. You have to take the cable cars when you visit Big Buddha, since he is sitting on a mountain, but the experience is worth everything, and the view is amazing, you wouldn’t miss this. I recommend you to visit this beautiful place if you are going to visit Hong Kong someday. 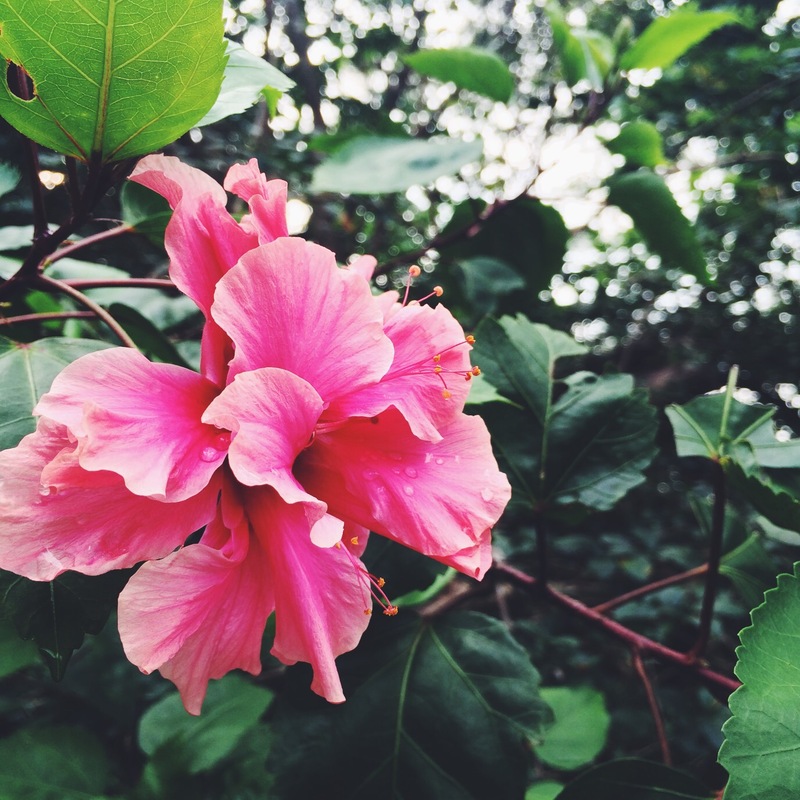 Ever heard about a sweet Japanese called mochi? Mochi is a Japanese rice cake, made of mochigome, a short–grain japonica glutinous rice. The traditionally mochi can eventually either be filled with a delicious gel or eaten without, you can even fill them with fruit if you like, the opportunities are endless, as long as you are creative. I’ve tried this kind of sweets before, the rice cake was covered with sesame and filled with some kind of sesame filling. I really liked them, even tho it got a bit too sweet in the end. I even got the change to taste a new mochi during my month in Hong Kong. 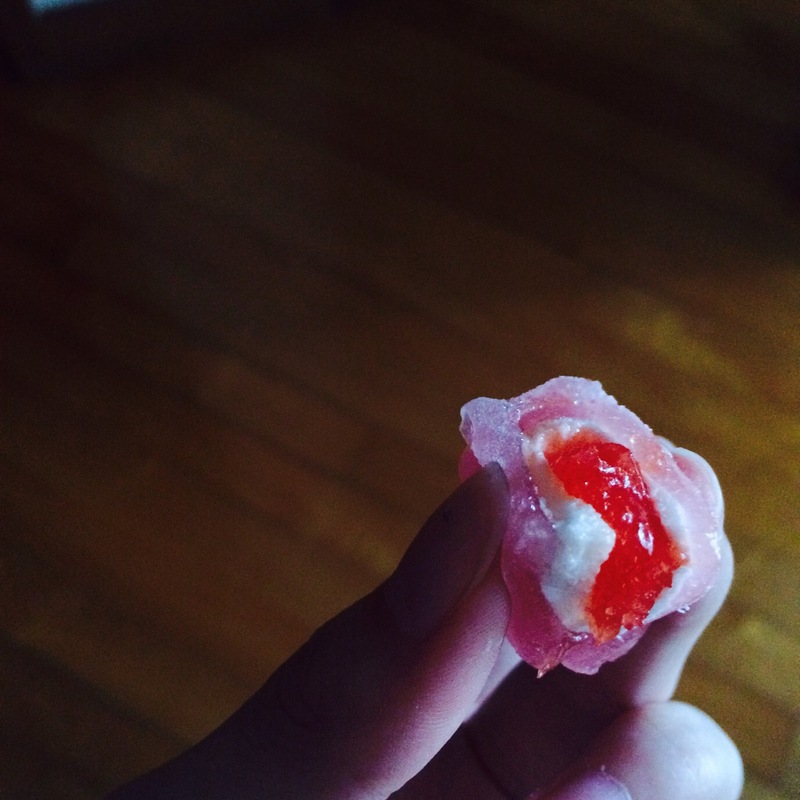 This one is a strawberry mochi, filled with a sweet gel, with the taste of strawberry. I must admit that those were the Best mochis I’ve ever had. The sweetness and the taste was perfect. I would definitely love to eat those kind of delicate mochis again. Hong Kong really is different from the scandinavian when it comes to food and drinks. Besides drinking water I taught myself to love those three drinks the most. The first one is a soft drink named Cream Soda. A sweet carbonated drink, which has a kinda sorta un—definable taste. It’s really sweet, and delicious taste like it’s creamy, with some vanilia in it. 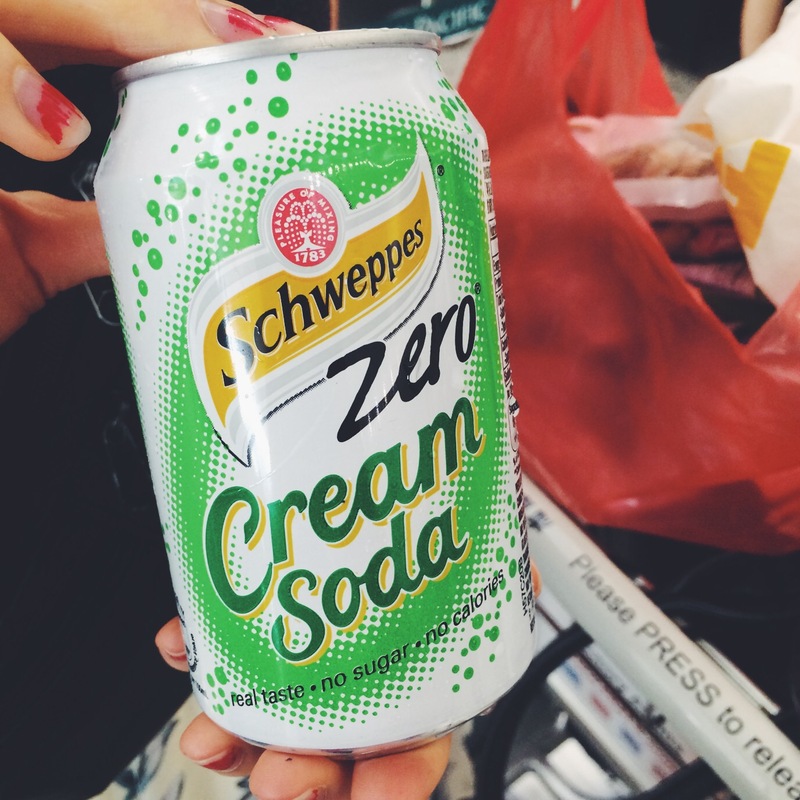 I never head about the cream soda before I came to Hong Kong. It’s a pity, because this is really delicate. 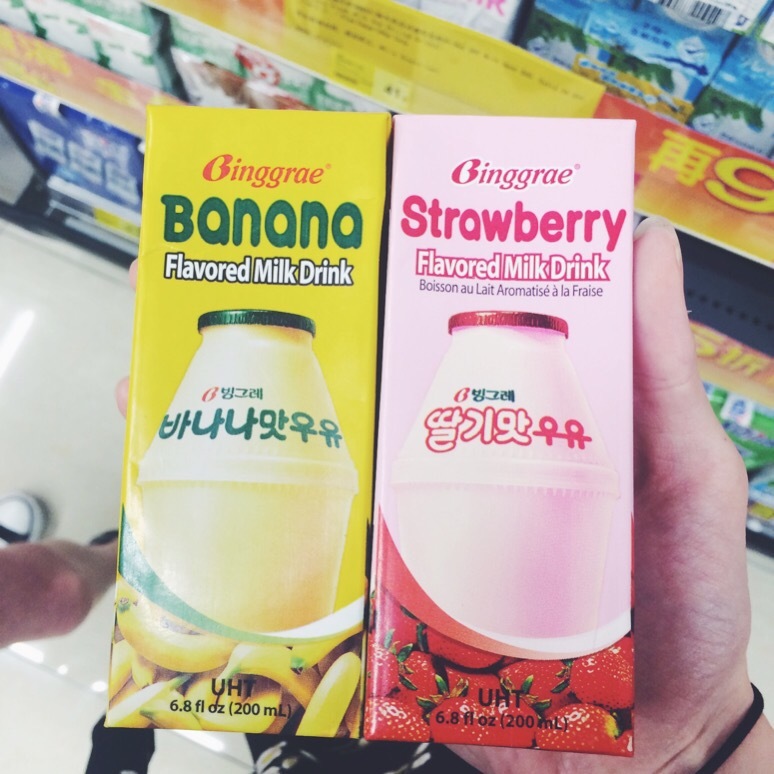 The second one is a korean milk drink, with taste of respectivly banana and strawberry. I’ve always wanted to taste the real product, since you won’t be anke to find this in my country.. (ㅠㅅㅠ) you can get some powder to get your milk taste like strawberry, chocolate, vanilia etc. I have tried both, and it is definitely not the same. I prefer the korean flavoured milk above everything else. Perfect for a thristy break. 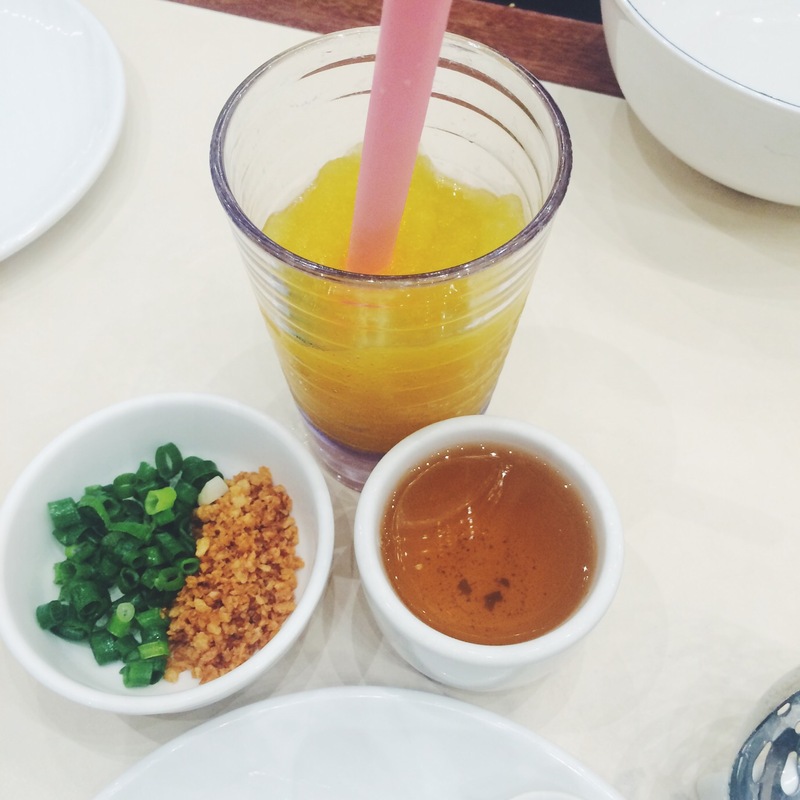 The third one is a mango slush, which I tried on one of the many restutants in Hong Kong. The taste of sweetness and mango was perfect, and penetrating in a quite delicate way. In the end I learned to love this mango slush quite a lot. Choux à la crème, better known as Cream Puff is a Frence choux pastry ball with a typically sweet filling of whipped cream or ice cream inside. The puffs can be decorated with some garnished with chocolate sauce, caramel, or a dusting of powdered sugar as topping, or you can leave the puffs plain, depends on what you prefer and likes. I’ve never tried a cream puff before, not really. I once had some small buns filled with vanilia ice crem in it for dessert once, tho. It was not untill we went to Hong Kong I discovered what a real crem puff actually was, and I was dying to taste one of them. 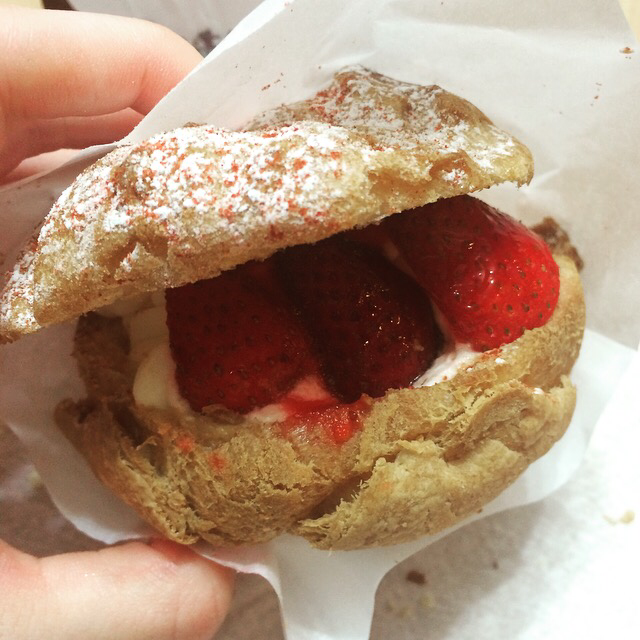 Therefore on my last week in Hong Kong I decided to buy this cream puff. Filled with a delicate whipped cream inside it, and decorated with the most delicious strawberries. Thee topping consisded of powdered sugar which was dusted on top of the dessert. I ended up eating the puff as breakfast the day we had to go home, and it was delicate. Absolutely delicious. The taste of it was heavenly, like if the puff was melting when you ate it. So sweet. 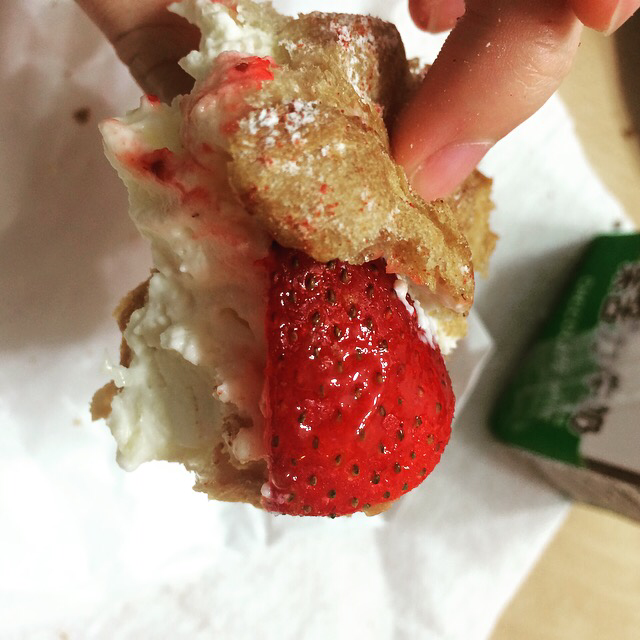 Even tho it was my first cream puff it was still the best I’d had, and I would certainly like to try it again. I am currently looking for a recipe, since I want to try to make my own cream puff once I move. Because I cannot descripe with Words how delicious it actually was.